Crash Avoidance Metrics Partners LLC (CAMP) provides a framework for pre-competitive crash avoidance research to improve real-world safety by defining and developing pre-competitive elements of automotive crash avoidance countermeasures and accelerating implementation to improve traffic safety. 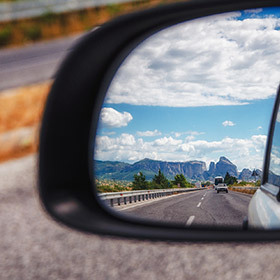 CAMP collaborates in cooperative research with the Federal Highway Association (FHWA) and the National Highway Traffic Safety Administration (NHTSA). The National Highway Traffic Safety Administration vehicle-to-vehicle (V2V) communications proposal promises to increase safety and coordination among vehicles on highways within the United States. However, as evidenced by recent cyber attack media events, today’s automobiles are vulnerable to cyber attacks. V2V capabilities will only increase the attack surfaces available for these types of intrusions. Worse, V2V raises the possibility of leveraging a successful attack on one vehicle to disrupt others, much like an internet worm. This project focused on building high-assurance, mathematically verified parsers and serializers (i.e., decoders and encoders) for the SAE J2735 Basic Safety Message that are low-cost, reproducible, and reconfigurable (i.e., easily generating new proofs for additional functionality). This study developed and exercised a methodology to estimate the potential safety benefits of pedestrian crash avoidance/mitigation (PCAM) systems. PCAM systems can avoid a pedestrian crash by warning the driver of an impending crash and/or applying Automatic External Braking (AEB). This report examines the GES and FARS crash databases to develop a target population of pedestrian crashes that are addressable by PCAM systems. These crashes fit into two general scenarios, 1.) vehicle going straight and the pedestrian crossing the roadway, and 2.) vehicle going straight and pedestrian in or adjacent to the roadway, stationary or moving with or against traffic. This March 2017 report describes experiments conducted to validate auditory parameters associated with urgent forward collision warnings (FCWs) and to expand previous research examining vibrotactile driver assistance alerts. Work conducted in NHTSA’s CWIM research program found five auditory characteristics were primarily responsible for perceived urgency – frequency, peak-to-total-time ratio, harmonics, pulse duration, and interburst interval. Of the five key auditory parameters examined, variations in frequency appeared to be the most detrimental to first exposure perception. Three key criteria were identified, though even signals that met all criteria were categorized as alarms by fewer than 80 percent of participants. Results validated previous findings, with auditory signals that met four or five key criteria being perceived as urgent warnings more often, and being categorized faster, than other signals. This report describes an independent evaluation and analysis of methods and results of data gauging heavy-truck driver acceptance of collision warning based on V2V communication technology during driver acceptance clinics. V2V technology transmits vehicle information—location, size, and speed— to predict impending collisions and warn the driver. Results suggest V2V safety warnings have a high acceptance rate among heavy truck drivers. Results from the clinics will help shape future research into improved V2V safety applications for heavy vehicles. September 2016 - This report documents the development and proof-of-concept of an integration architecture (IA) prototype managing V2Vs. Driver data created a user-modified configuration to demonstrate the need and impact of a defined IA in the V2V environment. This research supports NHTSA’s focus on V2V technologies that have the potential to significantly affect driving safety, mobility, and sustainability of the transportation system. November 2016 - Test procedures to evaluate the blind spot warning/lane change warning (BSW/LCW) safety application of commercial vehicles with vehicle-to-vehicle (V2V) equipment. The prototype V2V equipment was observed to be capable of tracking potential BSW/LCW threats, but occasionally the equipment would not recognize that a vehicle was in the V2V equipment determined blind spot warning zone due to the equipment’s error in estimating the lateral range between the vehicles. The V2V equipment determined blind zone was different for each side of the vehicle evaluated in this study (shorter on right side). When the turn signals were activated, the blind zone was extended by a time based on the closing speed of the approaching vehicle. The BSW/LCW test procedures are generally well developed but the blind zone definition for commercial vehicles/tractor-trailers combinations needs to be further refined. This paper reports empirical research about voice control systems used by drivers and the measures that could be used for evaluating these possible distractions while driving. An on-road study identified drivers’ patterns of use and interaction errors encountered with VCS. Twenty-two themes characterized interactions with VCS. Results suggest an evaluation protocol based solely on error free trials would not be representative of many VCS interactions commonly experienced. Two other studies were conducted in controlled laboratory environments. Results indicated that both performance and eye glance measures may be appropriate for evaluation of VCS and that the computer-based protocol yielded similar results to the driving simulator protocol. This study will help support the development of V2P based collision avoidance technologies and examined the GES and FARS crash databases in order to classify 21 pedestrian pre-crash scenarios based on different vehicle and pedestrian maneuvers. These scenarios were ranked based on associated costs and five priority scenarios were selected that represent 88 percent of pedestrian crash costs. For the priority scenarios crash contributing factors were examined and quantified to identify common occurrences in crashes, including physical settings, environmental conditions, and driver and pedestrian characteristics. Kinematic equations describing the crash scenarios were also derived and exercised to obtain estimates of the minimum stopping distances for various vehicle velocities and braking levels. 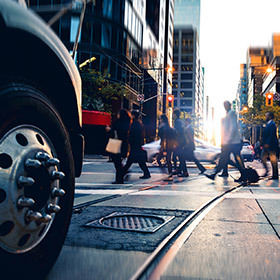 The goal of this study was to develop an updated understanding of the pedestrian crash problem and the potential of V2P technology to address pedestrian crashes. This report documents NHTSA’s test track research performed to support development of objective test procedures to evaluate the blind spot warning/lane change warning (BSW/LCW) safety application of commercial vehicles with vehicle-to-vehicle (V2V) equipment. The prototype V2V equipment was observed to be capable of tracking potential BSW/LCW threats, but occasionally the equipment would not recognize that a vehicle was in the V2V equipment determined blind spot warning zone due to the equipment’s error in estimating the lateral range between the vehicles. The V2V equipment determined blind zone was different for each side of the vehicle evaluated in this study (shorter on right side). When the turn signals were activated, the blind zone was extended by a time based on the closing speed of the approaching vehicle. The BSW/LCW test procedures are generally well developed but the blind zone definition for commercial vehicles/tractor-trailers combinations needs to be further refined. This report documents NHTSA’s test track research performed to support development of objective test procedures to evaluate the forward collision warning (FCW) safety application of commercial vehicles with vehicle-to-vehicle (V2V) equipment. The prototype V2V equipment was observed to be capable of tracking potential FCW threats, but had some issues when vehicles were in a curve or when switching lanes. For the curve tests, the V2V equipment had trouble determining the lateral distance between the host vehicle (HV – test subject) and the remote vehicle (RV – collision threat) for certain scenarios. Future testing with commercial vehicles equipped with V2V technology will be required to fully develop some of the FCW objective test track procedures and performance metrics. This report summarizes NHTSA’s V2V research on heavy vehicles (trucks and buses over 10,000 pounds). Most of the research conducted under the light vehicle V2V research program is directly applicable to applications in heavy vehicles, including the foundational elements such as 5.9 GHz Dedicated Short Range Communications and the supporting security credential management system that enables trust for V2V Basic Safety Messages. Heavy-vehicle V2V systems have been prototyped and tested in controlled scenarios in track testing and driver clinics as well as in a real world environment in Ann Arbor, Michigan. Testing these heavy-vehicle V2V systems included class 8 tractors in an integrated configuration, retrofit safety devices designed to facilitate installation of V2V capability in existing trucks, and retrofitted local transit buses. Additional research is exploring V2V systems in single-unit trucks and areas such as cyber security. This report documents NHTSA’s test track research performed to support development of objective test procedures to evaluate the intersection movement assist (IMA) safety application of commercial vehicles with vehicle-to-vehicle (V2V) equipment. The prototype V2V equipment was observed to track potential IMA threats, but the IMA warnings and alerts issued from the V2V equipment on the trucks occurred very early. Due to the early warnings it was not possible to fully evaluate some of the test procedures. This report summarizes the results assessment and comparison of six industry and government safety standards relevant to the safety and reliability of automotive electronic control systemsThese standards are ISO 26262 (Road Vehicles - Functional Safety), MIL-STD-882E (Department of Defense Standard Practice, System Safety), DO-178C (Software Considerations in Airborne Systems and Equipment Certification), Federal Motor Vehicle Safety Standards, AUTOSAR (Automotive Open System Architecture), and MISRA C (Guidelines for the Use of the C Language in Critical Systems).. The assessment was carried out along the 11 dimensions: (1) type of standard, (2) definition of safety and hazard, (3) identification of safety requirements, (4) hazard and safety analysis methods, (5) management of safety requirements, (6) risk assessment approach, (7) design for safety approach, (8) software safety, (9) system lifecycle consideration, (10) human factors consideration, and (11) approach for review, audit, and certification. This study investigated the performance of collision avoidance systems (CASs) currently used in the trucking industry. A total of 169 drivers operating 151 tractor-trailers from 7 trucking companies were recruited to a 1-year field operational test. All vehicles were equipped with either the Meritor WABCO OnGuard or the Bendix Wingman Advanced CAS system. A new miniature data acquisition system (MiniDAS) was developed by the Virginia Tech Transportation Institute to collect continuous video of the forward roadway, video of the driver's face, CAS activations and alerts, and vehicle network data whenever the trucks were in motion. Six thousand CAS activations and lane departure warning alerts were sampled, including all automatic emergency braking events and impact alerts. In order to estimate system reliability, these were analyzed to determine whether a safety critical event (SCE) took place. An SCE could be a crash, a near crash, or a crash-relevant conflict, all of which require the driver to perform a rapid evasive maneuver. No rear-end collisions were reported by participating companies in the 3 million miles of driving data recorded in this study. The more severe alerts had increased activation likelihood when a driver response was required. This study did not find that drivers changed their driving performance over time; neither the alert activation rates changed, nor drivers' response to the alerts meaningfully changed over time at highway speeds. This report covers a field study of vehicle crash warning technologies using an innovative large-scale data collection technique for gathering information about the crash avoidance systems and how drivers respond to them. Although the specific system studied was the General Motors camera-based forward collision alert and lane departure warning system, this technique could be applied to other emerging active safety crash avoidance systems. The study team found that this data collection technique has several strengths including cost, sample size, and naturalistic testing by having drivers using their own vehicles where they can adjust system settings or even turn systems off. The technique allowed researchers to study possible long-term changes in how drivers adapt to such systems, and to acquire “rapid-turnaround” large-scale results in an efficient manner. This report presents the methodology and results of an independent evaluation and analysis by the Volpe National Transportation Systems Center of heavy trucks participating in the Safety Pilot Model Deployment (SPMD), a field study vehicle-to-vehicle (V2V) communication technology, The heavy trucks in the -- part of U.S. 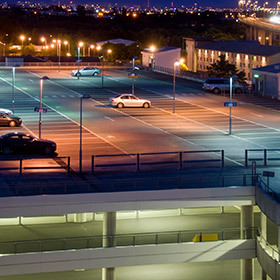 DOT's Intelligent Transportation Systems research program. In 2012 the SPMD deployed in Ann Arbor, Michigan, approximately 2,800 vehicles equipped with designated short-range-communication-based V2V and vehicle-to-infrastructure (V2I) technology in real-world driving environments. The goals of the evaluation were to characterize capability, assess unintended consequences of the warnings, and gauge driver acceptance of V2V and V2I safety applications. The evaluation is based on naturalistic driving by 33 participants who drove heavy trucks equipped with V2V and retrofit safety devices. The results V2V safety applications work in real-world environments and issue useful alerts in driving conflicts. However, improvement in the accuracy of these warnings is needed. This report describes the methodology and results of an evaluation of safety applications for passenger vehicles in the 2012-2013 Safety Pilot Model Deployment, part of U.S. DOT’s Intelligent Transportation Systems research program. In 2012, the pilot model deployed approximately 2,800 vehicles equipped with designated short-range, communication-based vehicle-to-vehicle (V2V) and vehicle-to-infrastructure technology in a real-world driving environment. The goals of the independent evaluation were to characterize the capability, assess unintended consequences, and gauge driver acceptance of the V2V safety applications. The evaluation is based on naturalistic driving by 127 participants who drove passenger vehicles with fully integrated V2V communication systems for 6 months each. Additionally, 293 participants drove passenger cars with aftermarket communication systems for 12 months each. The vehicles were equipped with a suite of V2V safety applications that issued alerts to participants in potential crash scenarios. The results of the analysis suggest that V2V safety applications work in a real-world environment and issue valid alerts in driving conflicts, but improvements in their ability to correctly differentiate imminent threats from various normal driving situations are needed so as to reduce nuisance warnings. Results from the model deployment will help shape future research direction. The Pedestrian Safety Enhancement Act (PSEA) of 2010 requires NHTSA to conduct a rulemaking to establish a Federal Motor Vehicle Safety Standard requiring an alert sound for pedestrians to be emitted by all types of motor vehicles that are electric or hybrid. NHTSA completed acoustic measurements for hybrid and electric heavy-duty vehicles (gross vehicle weight rating over 10,000 lb.) and for electric motorcycles. This acoustic data analysis was conducted to support activities related to the PSEA. New advanced driver support systems are now being introduced into passenger vehicles. Key questions are how driving performance and behavior adapt over long-term use. Early adopters of new technologies provide a unique population from which early assessments of new technology safety impacts can be made. Of interest in this project were the safety implications of long-term use of adaptive cruise control (ACC). The goal of the study was to understand the relationship between experience with ACC and driving performance. This report describes how teenagers and their parents reacted to “enhanced” seat belt reminders and alerts that are more assertive and persistent than what most cars have. Teens gave feedback regarding a set of these alerts in simulated drives. The main measures were the likelihood of buckling up and the strength and annoyance of the alerts. Effectiveness and annoyance were highly correlated, although no system or feature emerged as dramatically more effective than any other. Visual displays were less effective and less annoying than sound alerts. Parents of teens who experienced the new alerts participated in group discussions about their teens’ seat belt use and their preferences for alerts. Based on the findings, a set of recommendations for the design of seat belt reminders specifically for teenage drivers and their passengers was developed. This report describes the methods and findings of a sequence of experiments on the effects of various vehicle interior ambient noise conditions on driver perception of warnings and messages.This task is part of a larger National Highway Traffic Safety Administration (NHTSA) project titled Crash Warning Interface Metrics (CWIM). The CWIM project deals broadly with the effectiveness of the driver interface for in-vehicle crash warnings. The Crash Warning Interface Metrics (CWIM) program addresses issues of the driver-vehicle interface (DVI) for Advanced Crash Warning Systems (ACWS). 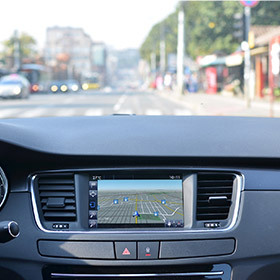 ACWS are increasingly common in passenger vehicles and the characteristics of these systems, including the DVI, vary considerably among vehicle makes and models. A DVI for crash avoidance situations must be rapidly and reliably detected. This report describes the methods and findings of research on the effects of various vehicle interior ambient noise conditions on driver perception of warnings and messages. This task is part of a larger National Highway Traffic Safety Administration project titled Crash Warning Interface Metrics, Phase 3. In the present study, the objective was to measure various aspects of driver perception of warnings and alerts under a range of ambient noise driving conditions on actual roads. The experiment was a three-factor design, with vehicle type (compact, sedan, SUV) as a between-groups factor and interior noise condition (1) windows up, music off; 2) windows down, music off; and 3) windows up, music on) and acoustic signal (15 different tonal and voice messages, many of which were based upon current in-vehicle alerts) as within-groups factors. This report describes characterization test procedures developed to quantify the performance of intersection collision avoidance (ICA) systems based on vehicle-to-vehicle communications. These systems warn the driver of an imminent crossing-path collision at a road junction, and apply automatic braking if the driver does not respond in a timely manner.This report describes test procedures for most common crossing-path, pre-crash scenarios that involve light vehicles (passenger cars, vans, minivans, SUVs, or light pickup trucks with gross vehicle weight ratings less than 10,000 pounds). This report summarizes NHTSA’s evaluation of existing adaptive driving beam headlight systems. “Adaptive Driving Beam" (ADB) is a type of adaptive front-lighting system where the system automatically enables upper beam headlamps and adapts its beam pattern to the presence of oncoming and preceding vehicles in order to improve long-range visibility for the driver without causing discomfort, distraction, or glare to other road users. This study investigated user interactions with partially automated vehicles where some of the driver’s role is turned over to the vehicle. It focused on how the driver makes those changes, and how this interaction is affected by the human-machine interface. It also shows that effective human interface elements can help drivers to resume control of the vehicle quickly. NHTSA’s 2014 light vehicle automatic emergency braking (AEB) test program evaluated the ability of a 2014 Acura MDX, a 2014 BMW i3, a 2015 Hyundai Genesis, and a 2014 Jeep Grand Cherokee to be tested with the agency’s August 2014 draft crash-imminent braking (CIB) and dynamic brake support (DBS) test procedures. The maneuvers were successfully validated and the performance of the vehicles compared to a common set of draft assessment reference values (ARVs). None of the vehicles discussed in this report were able to satisfy all CIB ARVs if their performance was considered against a “seven of eight” evaluation criteria, and only the Jeep Grand Cherokee was able to satisfy the DBS ARVs during at least seven of eight trials for each test condition. The heavy-duty vehicle category, which spans from ¾-ton pickup trucks and vans up to the largest tractor-trailers, represents a major opportunity to cut transportation oil use and carbon pollution. This study assessed the safety of various engine and vehicle technologies that reduce fuel consumption and greenhouse gas (GHG) emissions, including alternative fuels such as natural gas, biodiesel, electricity, etc. The findings suggest that the potential safety hazards identified during operation, maintenance, and crash scenarios can be prevented or mitigated by complying with safety regulations, voluntary standards, and industry best practices. The Federal Motor Carrier Safety Administration and National Highway Traffic Safety Administration commissioned a joint test program through to explore the effects of tire rolling resistance on Class 8 tractor-trailer stopping distance over a range of loading and surface conditions to determine whether there is a relationship between tire rolling resistance and stopping distance for vehicles of this type. The results suggest that tire rolling resistance is not a reliable indicator of Class 8 tractor-trailer stopping distance. The National Transportation Safety Board (NTSB) investigated four crashes of school buses and one of a fire truck that occurred from 2005-2009 and concluded that these accidents were consistent with pedal misapplication. Among the NTSB recommendations was that NHTSA analyze pedal configurations in heavy vehicles to determine the effect of pedal design on the driver’s task. This research was performed to provide an overview of the range of typical pedal dimensions in school buses. The Lane Departure Warning (LDW) system is a driver aid that uses visual sensors to detect lane markers ahead of the vehicle. The LDW system alerts the driver when the vehicle is laterally approaching a lane boundary marker (indicated by a solid line, a dashed line, or raised reflective indicators such as Botts dots). The LDW system sounds an audible tone or beeps or provides haptic alarm to the driver and is often accompanied with a visual dash lamp or display icon to indicate which side of the vehicle is departing the lane. After a 2010 study of the phenomenon of unintended acceleration (UA), NHTSA found that pedal misapplication could be a cause of many UA claims, specifically when drivers intend to apply the brake but instead apply the accelerator. Consequently, NHTSA determined that it would be worthwhile to study elements of vehicle pedal design and location to see if they might contribute to the propensity for pedal misapplication. Previous research efforts into UA hypothesized that certain design criteria such as lateral separation, the horizontal gap between the brake and accelerator pedal, and the distance between the surface planes of the brake and accelerator may contribute to driver error.